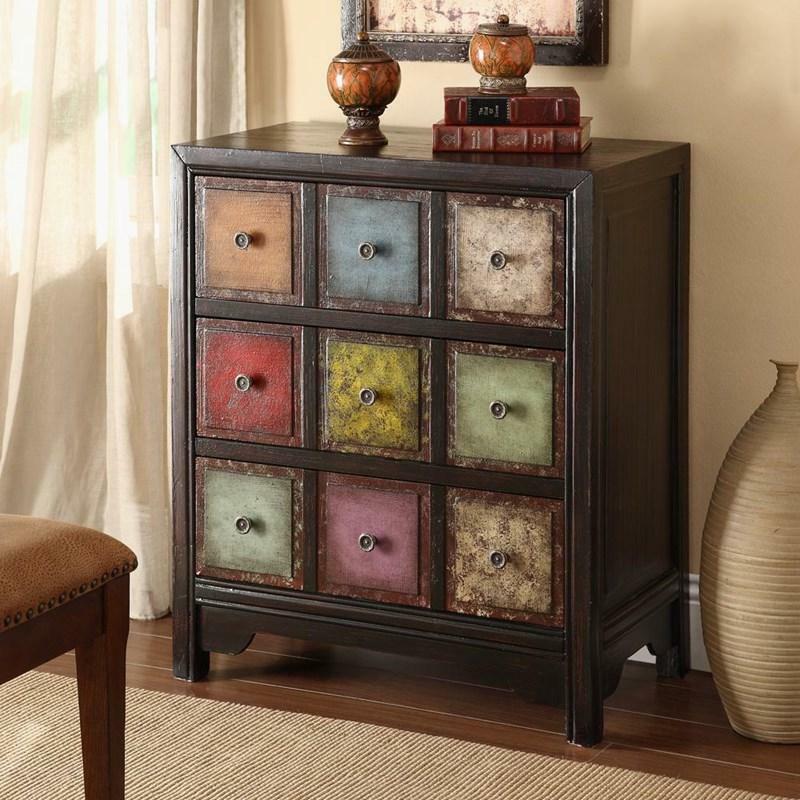 With vivid bright colors, this three-drawer chest will make it a cheerful addition to any room. 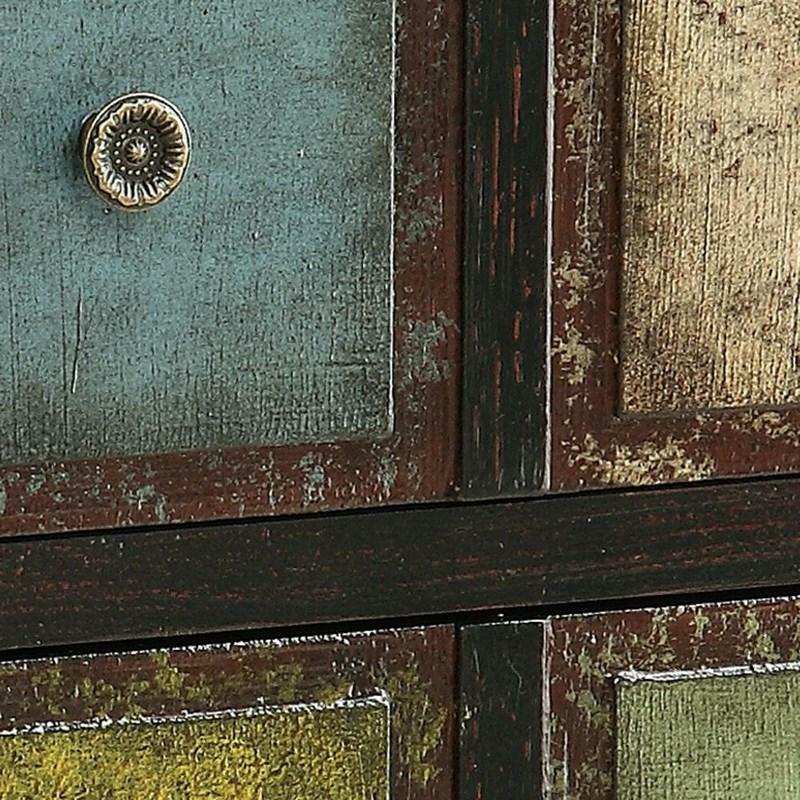 The Conde Weathered Multicolor finished drawer fronts are surrounded by a dark neutral frame that allows the hand-painted squares to take center stage. 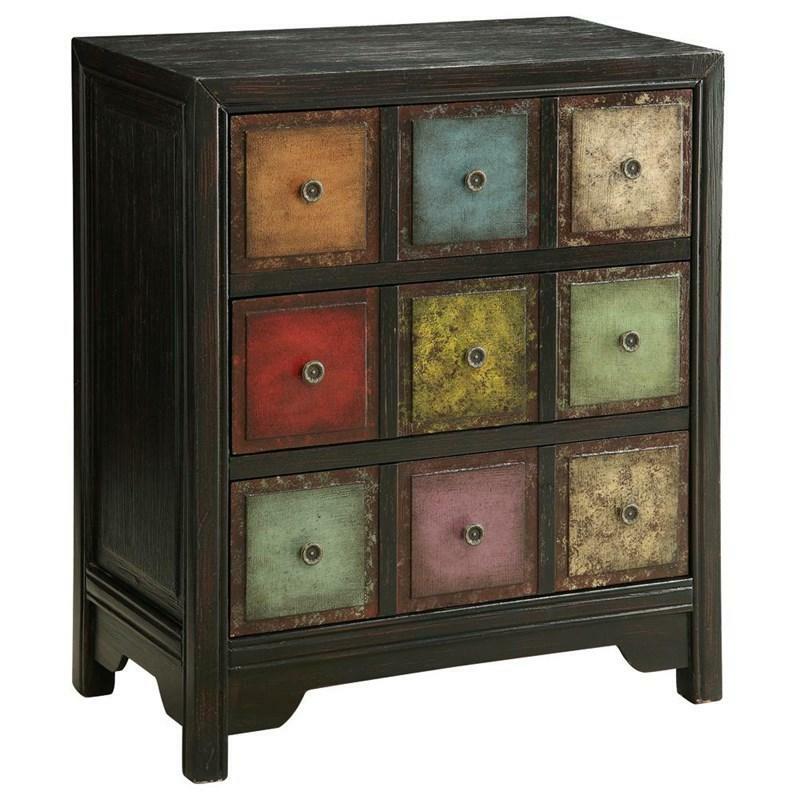 Each beveled square is further enhanced by a decorative metal drawer pull in the center.